You know I’m all about seafood! Pair it with guacamole and I’ll be licking my fingerS all night long. Ask anyone that knows me, it’s totally true. It’s also a fact that I wear a shirt that says, “Feed Me and Tell me I’m Pretty.” Things are fairly simplified that way for me, I like good food and nice sayings. 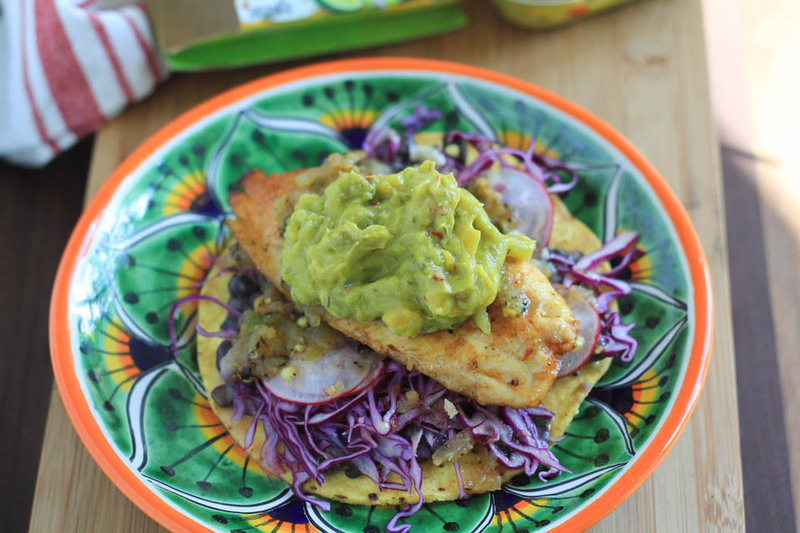 This grilled fish tostada is no exception, good, simple, and easy to make food for our health and nutrition. 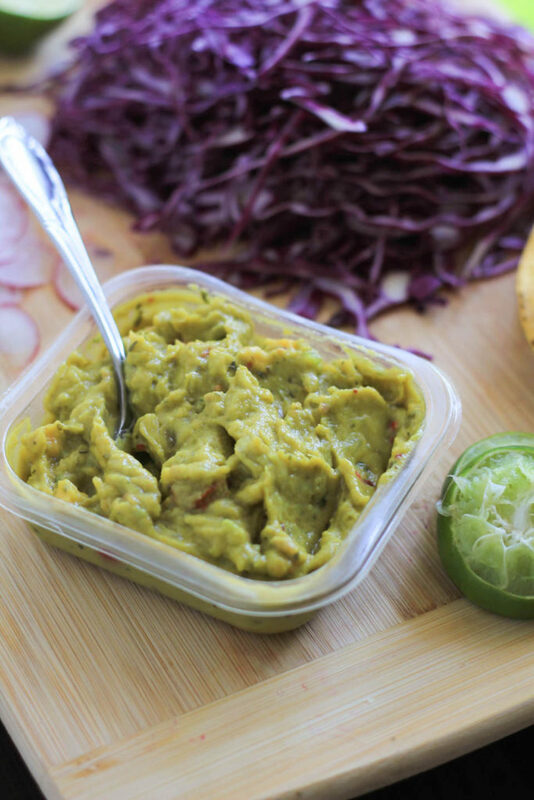 All three varieties are vegan, kosher, gluten-free, and made with the best quality ingredients, including Hass avocados, and fresh real crisp vegetables. You know I’m all about that! Be sure to grab your $1 off coupon before you head to the store to buy your Veggie Fusion! You can find it in the deli section. Place olive oil, lime juice, and chipotle powder in small shallow pyrex or pan, whisk to combine. Place fish in a mixture, turn to coat evenly and well. Prep other ingredients and heat grill while fish marinates for 15 minutes. Prepare grill: heat grill to a medium high heat. Brush grates with olive oil so the fish does not stick, the high heat also help with that. Use a rag, paper towel, or brush to brush olive oil on grates. Once grill is hot, place fish on grill. Sprinkle evenly with salt. Cook for 4 minutes. Note: fish lets you know when it is ready to turn. If it does not come up easily from the grill, it’s not ready to turn. Once ready, use a spatula to turn and cook for 3-4 minutes. Place on plate when finished cooking. 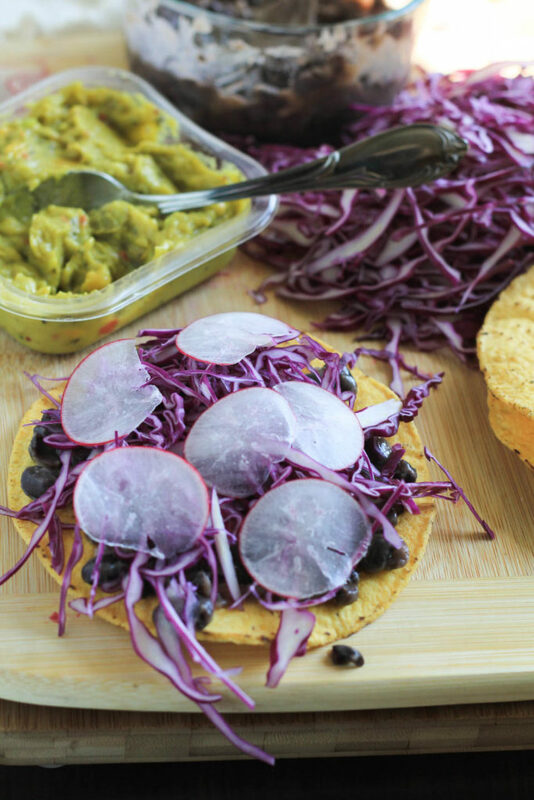 Assemble tostadas: divide each ingredient among tostadas evenly- Add warmed smashed beans to each tostada. Followed by cabbage, radishes, salsa, then fish. 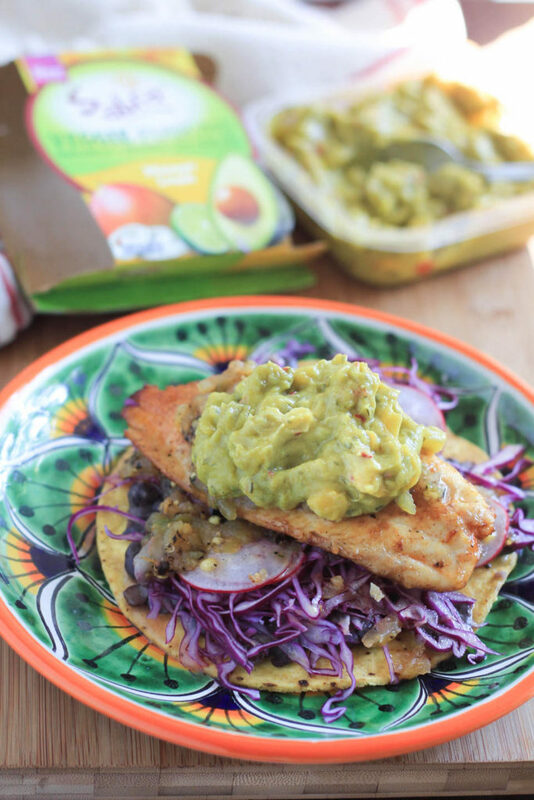 Top fish with a large dollop of Sabra Veggie Fusions. Serve immediately, not idea for leftovers. Share your creations with me and tag #VeggieFusionsguac and #veggieupyourguac on social media! I’d love to see what you’re all making. 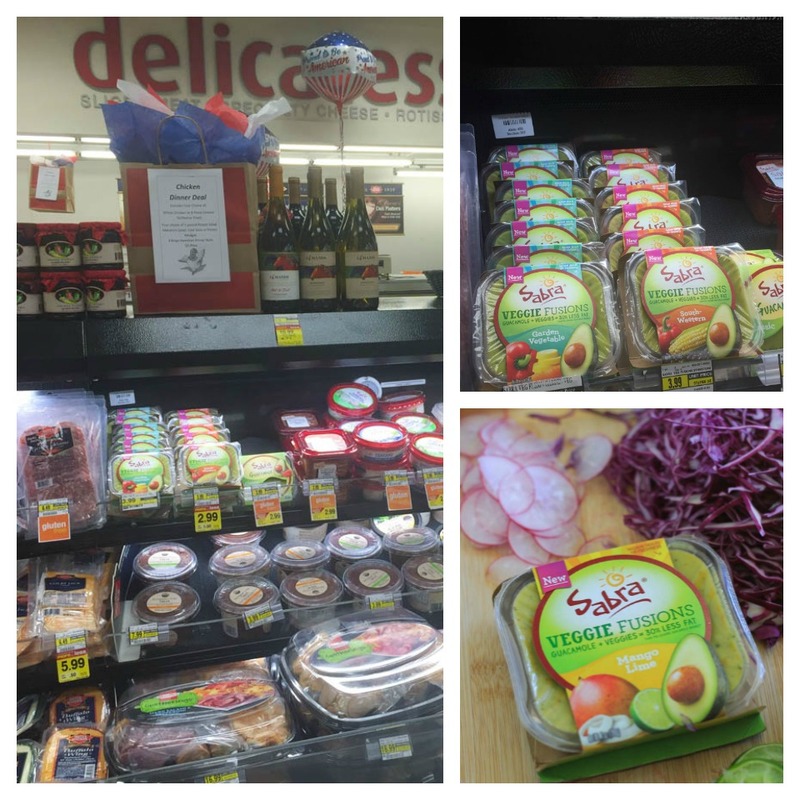 Disclaimer: This is a compensated post in collaboration with Sabra Dipping Company for their new line of Veggie Fusion Guacamole. As usual all opinions are my own. Thank you for supporting the brands that support NJB! Right?!! So much guac. Thank you!! I love everything about this! Perfect for summer!! These are the perfect weeknight or weekend dinner. I could eat this for breakfast, lunch, and dinner. Love Sabra, best on the block. Good call, me too! Best on the block for sure!